You must not send in your data management plan to us when you apply for a grant, but your administrating organisation will be responsible for ensuring that a data management plan is in place when you start your project or corresponding, and that the plan is maintained. We will be updating this blog when Vetenskapsrådet post more information on this. In our first blog post we wrote about how important it is to save your accepted manuscript. You often have more rights to it than to the publisher’s PDF. To see what you are allowed to do with your accepted manuscript there are several different resources. The library is happy to help if you have any questions, but here we list a few tools that you can use to check for yourself. 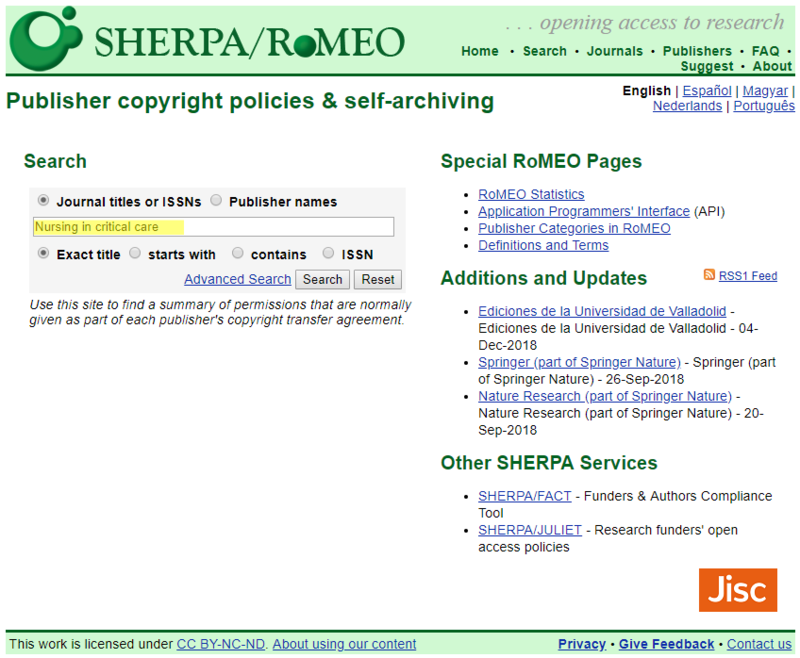 SHERPA/ROMEO is a database that gathers many publisher copyright policies and information about self-archiving. 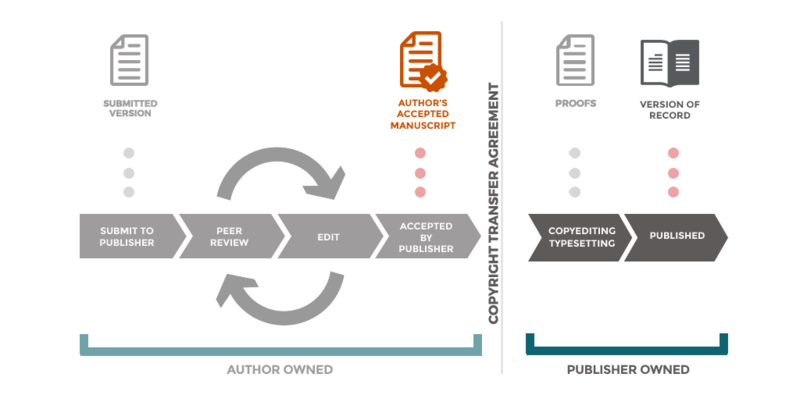 By searching for a journal name or ISSN you can find out exactly what you can do with which version of the manuscript, and what embargo period might apply. The author’s pre-print can be published immediately. This is the version of the manuscript that has not yet been through peer review. The author’s accepted manuscript (post -print) can also be published, but with some restrictions. The author’s accepted manuscript can be published after a 12-month embargo. 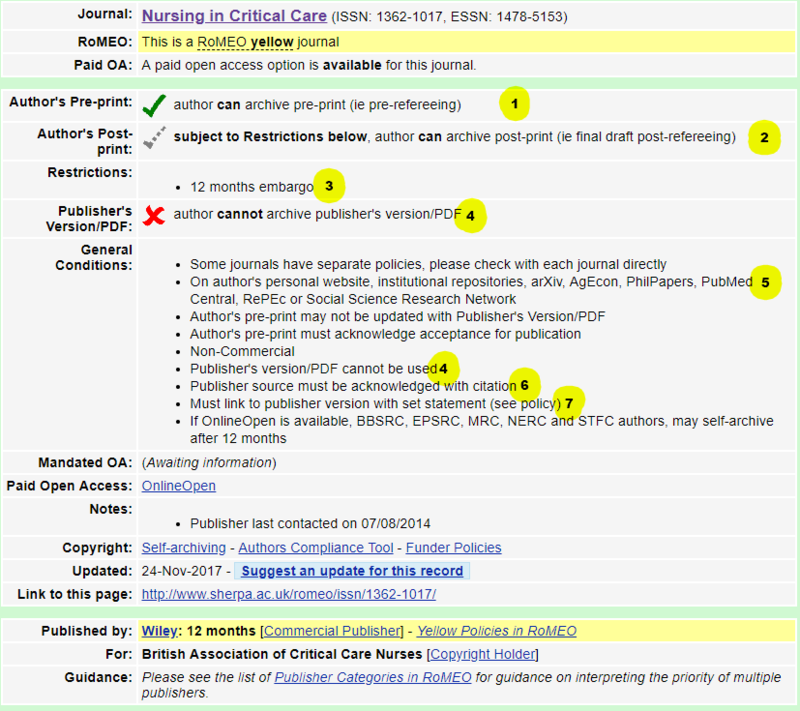 The author’s accepted manuscript can be published on a personal webpage, or an institutional repository. The latter is exactly what DiVA is. When you publish the author’s manuscript after 12 months you have to refer to the journal’s final version of the article, as that is the version of record. (In other words – the version that should be cited.) DiVA automatically creates a cover page with this kind of information in the part of the publication process that the library takes care of. When you publish the author’s accepted manuscript this has to be preceded by a set statement. This statement is part of the cover page that DiVA adds.